earning the chain the highest brand recognition in the economy lodging segment." Pets stay free at Motel 6. Cash back will appear in your Extrabux account at least 40 days after travel has been completed. 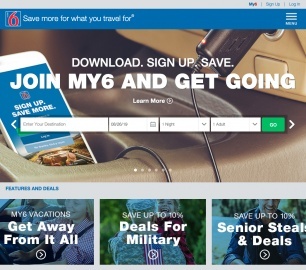 Click a Coupon or click Start Shopping to earn 4% Cash Back at Motel 6.